What is the difference between growth hacking and product marketing? Startups are seeking growth at 20% month over month whereas traditional companies are happy with 5%. Traditional methods of marketing multiple products with established teams don’t always support the kind of rapid growth startups need to gain traction as they identify their market and refine their product. Growth hacking allows for agility and a faster return on investment with smaller teams and fewer resources. For years, growth hacking has been all the buzz in the marketing world. According to this Google Analytics graph, interest in the search term ” growth hacking” reached its peak popularity in 2017. Here are some relevant analogies and examples: Bruce Clay came up with a search engine optimization (SEO) strategy called ” siloing ” for website architecture. More recently, Matthew Howells-Barby of HubSpot popularized the term ” topic clusters” in the SEO world. It’s really a mindset that today’s marketers and today’s effective marketers need to have. Now back in the day when you wanted to sell a product you hired a guy that went door to door, house to house, he had a briefcase and he began to pitch these products, these tools, these vacuum cleaners or combs or scrub brushes or whatever it was to the people in mind. You need to narrow your target down and understand who it is that’s going to really enjoy your product because those are the people who are going to help make that product viral. We hear this all the time, ” Oh, I just wanna go viral,” ” I want a viral video,” ” I want my stuff to go viral on Instagram. There used to be this social media platform called MySpace and people loved MySpace, in fact, they flocked away from a tool called Friendster into MySpace because they could do much more with their space. You get to set your objectives, run an experiment, use some growth hacking tools, measure the effects, and move quickly towards new objectives in order to find uncovered growth options for traffic, sales, retention, views, backlinks, shares, comments and more. In the process of growth hacking, growth hackers rely on different techniques and skills, including search engine optimization, website analytics, content marketing, copywriting, remarketing, referral, A/B testing, users feedback, guest blogging, social media campaigns, paid search optimization, viral loops, word-of-mouth marketing, etc. Digital marketing is a global term used to describe the process of promoting brands, companies, products or services via different online media, channels, tools, and tactics. Social media marketing – developing an online presence by attracting large numbers of internet followers through social media channels such as Facebook, Instagram, Twitter, and YouTube. In order to do that, they use almost the same channels as growth hackers: Google Analytics, link building, CRM, video marketing, landing page conversions, Google AdWords, blogging, search engine optimization, etc. As you can see, growth hacking lies somewhere between marketing and technical knowledge, which is why digital marketers can become growth hackers if they have a strong analytical and technical mind. Growth hackers utilize analytical thinking, product engineering and creativity to significantly increase their company’s core metric(s). Anyone who figured out how to game Google’s algorithm (aka SEO) was leveraging both creativity and analytics to rapidly grow their company. By one definition, it means programmer – someone who builds features that encourage a company’s product to experience viral growth. Here is a laundry list of the primary tactics most growth hackers use: Viral Acquisition: Leveraging built-in product features to encourage existing users to share your product with new users. Content Marketing: Leveraging blog posts, infographics, and viral videos to increase brand awareness and site traffic. What is the difference between ” growth hacking” and ” product marketing”? You then work with the marketing teams (shared services) to execute your marketing strategy for the product. Growth Hacking is all about improving numbers focusing on doing. I think the new breed of product marketer understands how GH’ing can be applied effectively and maybe even share some larger picture product marketing. While their marketing brethren chase vague notions like ‘branding’ and ‘mind share’, growth hackers relentlessly pursue users and growth - and when they do it right, those users beget more users, who beget more users. So instead of taking the product as is and heading out to solely focus on promoting a static product, Growth Marketers use their findings and learnings from talking to customers and operations in the market to help the product team improve the product. They conduct something called customer interviews and while market research and surveying customers are as old as marketing itself there is a key difference between those methods and what Growth Marketers do. While questionnaires and surveys are looking for quantitative data Growth Marketers look to gather qualitative data from their customer interviews. Traditional marketing focuses on getting customers to like your product, and growth hacking is making a product that your customers like. A user-acquisition strategy which includes content marketing and SEO. Growth hacking is the art of mixing product characteristics, pertinent data and nimble marketing to create fast growth. If a startup is pre-product/market fit, growth hackers can make sure virality is embedded at the core of a product. Keep people that are in the funnel already engaged on your site before adding new prospects. Software entrepreneurs must determine which activities create the most stickiness. Growth Hacking vs. Digital Marketing: What’s the Difference? From Mary-Kate and Ashley to The Parent Trap, mainstream portrayals of twins always made it seem like a good time. In many ways, Growth Hacking and Traditional Marketing are a lot like these twins. Both come from the same place, wanting to achieve organizational growth and success, but each takes a very different route to get there. What are the necessary skills needed to succeed as a marketer in the age of AI? The time has come. The age of artificial intelligence has arrived. I can’t speak for anyone else, but as a marketer, I don’t want to be left behind. Marketers know all too well the impact skills gaps have on a marketing teams ability to produce results. Wondering where to start? Frase has pulled together some great research on AI marketing skills to help give you a quick jump start. Creativity: People who can think outside the box and identify new resources to solve intractable problems will be in demand in the salesforce of the future, just as they are now. A sales rep who can be spontaneous while delivering a presentation will continue to have an edge. True creativity is something that is exclusively human — at least for now. And whether or not machines ever develop creative abilities, an imaginative sales rep who can work with AI-generated data and recommendations will have a significant advantage. Creativity is also a quality that can inspire others so creative sales reps will continue to make contributions to the sales team, regardless of how AI advances. Compassion: The ability to understand customers and empathize with their pain-points is another human quality that machines can’t yet match. AI is extremely good at analyzing large datasets and generating insights about where prospects are in the customer journey and what motivates them to buy. But that’s not the same as truly getting to know customers on an individual level and understanding their unique requirements, past experiences and current perspectives. Sales reps who have compassion go the extra mile to see things from the customer’s point of view. They can put themselves in the customer’s shoes when viewing sales material (noting ways to make it stronger) and build and sustain resilient relationships. That will remain valuable. Social intelligence: While AI can analyze customer sentiment and provide valuable insights, it can’t understand human beings on a social level — only other human beings can. It takes a person with strong social intelligence skills to succeed in sales, including the ability to understand non-verbal cues, comprehend subtext, detect humor, and recognize sarcasm. Since some experts estimate that up to 93 percent of communication is made up of body language and tone of voice, it’s clear that machines won’t be able to effectively handle critical interactions with customers anytime soon. That means social intelligence will remain a highly prized skill for sales reps. Connection: People make connections with each other — it’s in our DNA. That simple fact is behind the persuasive power of advertising and the worldwide reach of social media. Making connections is a critical skill for sales reps now, and it will remain so as AI advances. The ability to intuit what makes customers tick, build a relationship and retain business year-after-year through personal loyalty is a great complement to the capabilities AI delivers, including product recommendations and target customer lists. AI can let the sales rep know which prospects are ready to purchase which product, but it is the sales rep who makes the human connection. ” Despite its evocative title, AI is remarkably similar to other fields in information technology, in that success comes through continuous learning, training, and great processes,” says Zachary Jarvinen, head of technology strategy for AI and analytics at OpenText. Reihl and other execs who are already doing this in their organizations describe a common foundation for success in building AI skills in-house: Give enthusiastic people opportunities to learn and then give them opportunities to actually practice what they’re learning. You can certainly start small if you want, but the leadership team needs to actually create the time and resources people need to really commit to learning AI skills and technologies. Jim Johnson, senior VP at Robert Half Technology, notes that in addition to high-quality online courses in AI, in-person learning (including partnered with a local school) can happen both on-site or by sending people off-site for coursework. “Help your employees get the technical skills they need by providing training resources for them, whether that be a skills development course at a local university or bringing someone in-house to train your team,” Johnson says. This may seem obvious, but CMOs and marketers need to understand how these technologies work in order to know which resources are actually required for the future of their marketing endeavors. AI is undoubtedly changing marketing as you know it, so if you are not up to speed with the latest developments, then your competitor certainly will be. When it comes to top management and understanding analytics, democratization will be key. Ultimately though, when it comes to big data and analytics this will take time. The industry needs people who can do everything from crunch data to create media. If you want to take your marketing to the next level, check out this marketing skills list for the 7 essential skills you need to master. 1. Know how to use the tools at your disposal. 2. Have a global perspective. 3. Fine-tune your writing skills. 5. Know how to read numbers. 6. Understand how SEO, content marketing, and social media contribute to your strategy. From creating content creation to analyzing web analytics and developing and creating successful social media campaigns, the modern marketer can do it all on time and on a budget. At this point, all modern marketers should put this skill to good use and learn how to explore technological advancements to their best advantage. Therefore, today’s marketers should be able to tap the enormous potential of social media to represent the best interest of their clients. All in all, whether they want to improve brand awareness, boost customer loyalty, attract a new segment of potential buyers or stimulate sales, social media networking websites are the perfect channels where modern marketers can distribute their messages and turn their objectives into accomplishments. Blogs are not overly adorned bedtime stories; they are extremely powerful tools used by modern marketers to interact with prospects, improve the online presence of a certain company and ultimately drive business growth. What are the most important KPIs to measure content marketing ROI? Does anyone other than me wonder why marketers do not measure content marketing ROI? It’s almost impossible to read an article about content marketing that doesn’t give some crazy low percentage of marketers measuring their content marketing. I am sure that anyone working in marketing today can relate to being overwhelmed by everything you know and learn to stay relevant and continue to meet today’s aggressive growth goals. Here at Frase, we are right there with you! Marketing is hard, so we want to help you out by providing answers to questions everyday marketers have by researching for you. Below you will find lots of recent relevant content to help you better understand what the most critical KPIs are for measuring your content marketing ROI. Your job here is to use content marketing to help prospects find you using informational (not sales) content as a magnet. Many companies lose prospects at this stage, so your goal is to use quality content to get prospects to take an action that gets them engaged with your sales team or your e-commerce site. Once the prospect is engaged, it is primarily up to either the sales representative (direct sales model) or the website (e-commerce model) to convert the prospect to a customer. Only 49 percent actually measure their marketing performance. They’re also likely to categorize their content marketing maturity level as Adolescent (31 percent), Young (21 percent), or First Steps (5 percent). Adolescent (27 percent), Young (26 percent), or First Steps (5 percent). As you can see, if we wrote all or most of our content geared toward an executive audience, we’d be skipping ahead multiple steps in the buyer journey. So if your organic content doesn’t rank in the top three in Google for a specific keyword, you may have wasted your money (if the goal was organic ranking). Use the following metrics to choose the right one: Organic keyword difficulty. Given the varied platforms, they have at their disposal this days-and the varied ways that consumers are interacting with their content-they want to know what’s working across multiple channels. “We saw many marketers this year throw their hands up in the air and realize they are unable to do everything.” That wasn’t necessarily all bad though, he states. Faced with an overwhelming array of options, Fernandez says that marketers “have become much better about ruthlessly focusing on only their primary and secondary KPIs [key performance indicators], instead of trying to measure everything under the sun. Still, says Fernandez, going into 2019, marketers will continue to leverage their growing understanding of what’s most important for them to focus on. Technologies such as machine learning are emerging to help them do that most efficiently, says Nicholas Cumins, general manager of SAP marketing cloud with SAP customer experience. According to Content Marketing Institute, even with the increased focus marketers are giving to content marketing, most marketers still don’t know whether or not their efforts are successful. As with any business spending, in order to continue to have a budget for content marketing, it’s important for marketers to be able to measure content marketing ROI. One way to measure this, in terms of content marketing ROI, involves dividing total revenue earned from a piece of content divided by all of the costs that went into creating it. One of the best tools for measuring content marketing ROI in terms of KPIs is through the use of Google Analytics. 5 Questions to help set, manage and review your content marketing effectiveness. Think audience share, sales, leads or at least clear indicators from people such satisfaction ratings or % that fed back. It follows then, that the goal of SMO is to measure, monitor and improve the visibility of social objects as a means of connecting with individuals who are proactively seeking additional information and direction. In a separate post, Dave will show how to use Advanced Segments to precisely show how content is affecting sales. With that behind us, let’s turn our thoughts to what KPIs for sales and marketing should include, so we know with certainty whether results align with company business plans. The above information helps us calculate our dollar cost of sales, and then our sales return on investment (ROI) too. The activity-per-rep versus wins-per-rep KPI helps us manage their bottom line, and encourage internal competition too. Not being direct income producers makes their marketing cost per lead generated critically. The extent of our social engagement has become another critical key performance indicator for marketing. We must constantly revisit our critical success factors, and the KPIs for sales and marketing we use to measure them. There’s a ton of material on how to devise and implement a content strategy, come up with topics, and produce good content, but measuring the success of that same strategy seems to be one of the murkiest areas of inbound marketing. For example, for many businesses that employ content marketing successfully (Hubstaff included), one of the main goals with content is to generate qualified leads. It gives you information about your performance in search – how are you ranking on average for keywords, how many people click on your content in search engine results pages (SERPs), etc. It is very important to use the Search Console in order to track the performance of the SEO part of your content marketing strategy. It is one of the simplest indicators of success in KPI marketing because sales largely depend on traffic and most of a marketing expert’s efforts are focused on traffic generation. You can also see how many unique visitors go to your site from the organic search in Google Analytics and you should also monitor the attendance of individual pages. Now this is an often overlooked indicator, but it’s a quintessential one – whether visitors stay on your website long enough to fully read the article or not – this highlights that your content is qualitative enough to get additional attention from visitors. It is one of the most important content marketing KPIs that you should never ignore – a high number of page views indicates that the audience actively interacts with your site and they are interested in your publications. This is the way to make your site visible in search results and receive stable organic traffic towards it. Articles viewed tell you the total number of articles your audience has looked at in a given time period. Unique visitors are the total number of individual people who visited your site. Return visitors show whether you’re creating content that resonates with people enough to make them come back. Average attention time is the mean amount of time that users spend actually consuming content on an aggregate basis, or down to the individual article level. When it comes to content marketing, measuring success is the toughest part. Content marketing has its own ROI as a channel and to measure results we need to select a set of unique key performance indicators. In this blog, I will share 3 different KPI’s which can be used to effectively measure content marketing success. This shows how your targeted audience is receiving the content you produced. These CTAs need to make sense and be aligned with your content’s funnel stage: if you’re writing for top-of-the-funnel first-time visitors, don’t rush your readers to talk to sales; instead, invite them to subscribe to your newsletter or download an ebook. So focusing on conversions is your best way to not just create ROI for your content efforts but also measure this ROI and make your content marketing analytics a lot simpler by focusing on one metric. Because of the nature of your content but also because of conversion rate optimization questions or simply because of the choice of your CTA (again, rushing first-time visitors to talk to sales is like saying ” I love you” on a first date: it freaks people out ). Potential gems: in the upper left are high converting posts which generated low traffic. Some we’ll focus on include: ” The best content marketing tools for the measuring phase (6/6)”, the last one of our series on content marketing tools for each phase of the content marketing cycle. 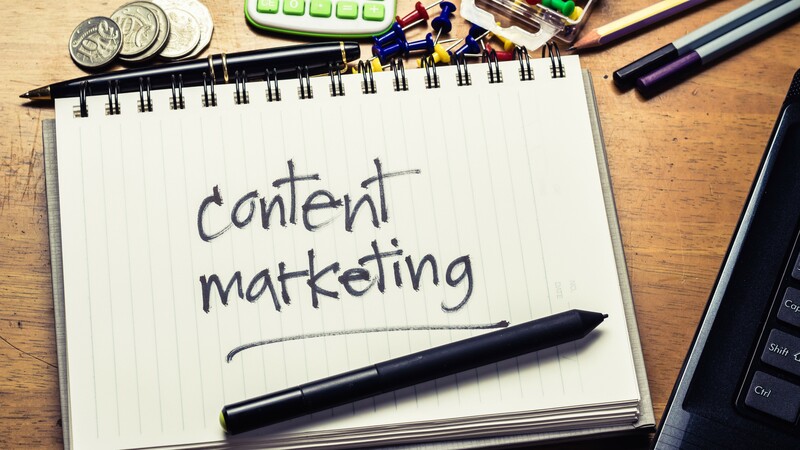 How can Content Marketing help your business grow? Which KPIs Are Ideal for a Successful Social Media Campaign? Financial KPIs – How To Detect The Truly Key Ones? Are Marketers Using AI Yet? As artificial intelligence integrates behind the scenes providing consumers with suggestions on everything from movies to music, marketing teams are ill-equipped to integrate this powerful tool into content creation, SEO, and marketing operations. Marketing executives agree that AI will be necessary in the next five years, but actual implementation into current platforms is seen as difficult with little return on investment. The economy continues to grow globally, data points are increasingly connected, and marketing teams that adopt AI early will be able to create content that ranks higher, drives traffic, and ultimately increases revenue. Below you will find lots of recent relevant content to help you better understand if and how marketers are using AI today. In media buying, AI is a forecasting process that analyzes massive amounts of consumer data and campaign content to measure campaign performance, allowing marketers to redirect budget toward ad placements that are performing the best. It can then use those patterns to better place ads for Google and on behalf of Google clients. Namely, AI platforms started allowing DSP access about a year or so ago, which opens up analyzing multiple campaigns and different types of campaigns at once. The Tombras Group uses multiple AI platforms for media planning and buying, matching the best technology to clients campaign needs. This allows brands to run multiple types of campaigns, whether it s a brand awareness play or a direct-response ad, on top of each other and let AI analyze them for optimization. This sort of predictive modeling is used to increase the likelihood that a customer will take a particular action this could be opening an email, clicking an ad or viewing a recommended product. To put it simply, data scientists will use a variety of data purchase history, demographics, browsing behavior, etc in order to predict a next best action such as what message to send, in what medium, at what time, and so on. Of course, Lewis is right that the best uses of machine learning are all about improving the experience Spotify s recommendations, for example but it cannot be ignored that most uses in retail, for example, are all about sales. Artificial intelligence (AI) and its various uses have been on the rise as of late, but even so, many brands are still yet to explore how to use AI in their strategic marketing activities and campaigns. Artificial intelligence marketing (AI Marketing) represents a way for marketers to bridge the divide between data science and marketing campaign execution. With the increasing amount of information big data provides, AI marketing is designed to help marketers sift through that data in shorter time frames, finding valuable insights into their consumers that will allow better marketing campaigns and ROI. Thanks to a combination of social media and lightning fast search engines like Google, people no longer spend excessive amounts of time sifting through information for what they need. The ability for brands to use AI Marketing to develop key marketing aspects like keyword searches, social profiles, and other online data, will allow marketers to create smarter, more effective ads which will likely result in more conversions. To cite just a few recent announcements: Salesforce’s Einstein , Adobe’s Sensei , Google’s expanded machine learning service , Amazon’s new AI service , Algorithms’ self-driven marketing/ad platform , YesPath’s AI-powered Account-Based Marketing platform , IBM Watson’s many occupations , Grey Jean’s AI-driven personalization platform , Signpost’s automated customer relationship management platform , Wizer’s AI-based marketing survey tool , and Emarsys’ AI Marketing platform . So Demandbase conducted a survey to find out what AI means for marketers. Seventy-eight percent say they are very confident or somewhat confident how to use it for marketing, but 90 percent say they’re not currently using it, 60 percent acknowledge difficulties in integrating AI into their current tools, and 54 percent say they would have difficulty training employees how to use it. Currently, Naimat suggested, AI is considered to be more about understanding language and providing insights, but it could evolve toward being more about cognitive understanding and automated decisioning as language and insights become commonplace. AI and machine learning get us one step closer to relevance at scale. We’re getting closer to a point where campaigns and customer interactions can be made more relevant end-to-end-from planning to creative messaging to media targeting to the retail experience. A big part of our strategy for launch was experimenting with machine learning to help us reach and engage our target audience. Optimization driven by machine learning presents opportunities well beyond media targeting, of course. According to recent Forbes research, nine out of 10 companies use AI to improve their marketing outcomes. Most importantly, studies show that three-quarters of businesses improve revenue with AI-driven marketing. Yet, there is an untapped potential left in the wings, according to new research from B2B marketing data firm Mountain Top Data. “Although AI has helped companies stay ahead in today’s dynamic market landscape, there is a lot of untapped business left in the marketplace,” said Sky Cassidy, CEO of Mountain Top Data, in a news release. While 32% agree that AI is “the next big thing,” 57% will probably not implement any elements of it this year. Yet they need some kind of stimulus, as 71% say that less half their content is consumed. This is hurting them in the winner-take-all post-mobile world, as Jim Yu, CEO of BrightEdge called it in a statement. BrightEdge seems to feel that the use of data to drive content strategy by “nearly half” is positive. In his talk, Chandra Kumar, CEO WiselyWise, stated that, despite many setbacks over its long history, AI marketing may now be ready for mass adoption. First off, Chandra discussed how brands can use AI marketing to produce advertising copy and even blog content which can change according to audience reaction. One example of how AI marketing can deliver advertising copy comes from a recent campaign for the Toyota Mirai. Saatchi LA, the ad producer, trained IBM’s famous Watson AI marketing engine with 50 scripts of relevant copy. Another popular way marketers use AI right now, according to Chandra, is for recommendation engines. “Forrester found that confusion and misunderstanding of AI-driven marketing is quite prevalent today. Indeed, many marketers in our study have a very narrow view of current advanced contextual marketing capabilities, much less around AI-driven marketing tools that can make these contextual programs considerably more efficient and effective, while reducing the complexities marketers face in executing and orchestrating digital interactions. This report focuses quite a bit on the idea that full-funnel contextual marketing is one of the most useful results of AI in marketing tools. The clearer promise of AI involves autonomous platforms that make many of their own decisions – based on key performance indicators and business rules – and that generate insights from data well beyond the questions that marketers typically ask. This is the allure of AI – to help marketers make smarter decisions about their audience, channels, content, and timing of messaging across the lifecycle so they can create a compelling, connected consumer experience while driving efficiency. Artificial intelligence enables marketers to automate personalized recommendations of content or products across channels that continuously update as browsing behavior and consumer preferences change. AI can predict what actions consumers are likely to take (such as making a purchase) and where that engagement might happen (that is, their channel preference). It’s placing the power of AI solutions in the hands of marketers to gain insight about their audiences and drive smarter content, channel, and timing decisions across the consumer lifecycle. How we built our Facebook chatbot: What does it do, and what’s the point? Posted on April 5, 2019 April 8, 2019 Author Tanya ThompsonCategories QuestionsLeave a comment on Are Marketers Using AI Yet?